How to perform well in PPDT of SSB? In PPDT candidates are shown with one picture on which we have to write one story. In screening importance of PPDT is 60%. Write: In this we will write our story on sheet of paper where we have to mention few things. 1. No of characters: How many no of characters you have found in your story out of which one is hero. 3. Gender: Male or Female. 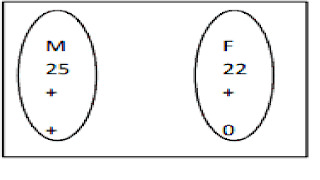 M for male and F for female. 4. Age: Age of characters should be specified, like we can write 25+. 5 .Mood: Mood can be shown with signs like + (positive), - (negative), 0(neutral) Or it can also be considered as P(positive ), N (negative), 0 (neutral). This totally depends upon board that what mood representation they are going to choose. For this one should listen all instruction carefully. Psychologist make all instructions clear before conduction of test and also give one example story to make it easy for fresher’s. All these details usually get written in one square box which is present in top right corner. 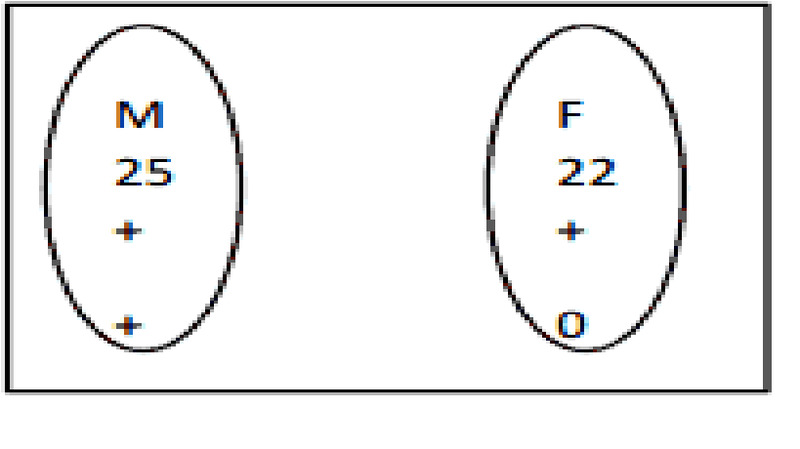 We have to make one circle and have to mention these details in between that circle. For Eg. Here I choose two characters so I will mention. In first circle gender is male, age is 25+ and mood is positive. In second circle gender is female, age is 22+ and mood is neutral. Writing tips: In first line we introduce our hero by giving his name and other required information. Narrate: After writing our story we will move with our group for further narration and discussion. Everyone gets chance to narrate his or her story. Narration is also considered as important because it reflects few qualities and if narration goes good, it increases your chance to get screen in. it should be deliberate in manner so that everybody will pay fair hearing to your story and it should not be too much lengthy. We must mention no of characters, age and mood of our characters so that it becomes easy for assessors to identify main character of your story and other role playing characters. This way narration plays very important role. Discussion: In PPDT we are in need to understand that this series is designed to check different kind of qualities each and every time. Now here in discussion they are going to check your group qualities. How we are going to take part in discussion is again important in some sort of sense. If we think we haven’t worked well in above given parts we can present well here. If we participate well here in discussion even then your chances may get appear to make through it. 1. Narrate your story well ,it is very important part because it reflects your individual qualities. While narrating your story make sure your voice is not shivering, you should sound confident and should look into the eyes of your group members with charm on your face, your sitting posture should be proper. In sum total you should look and sound like gentleman. 2. When your group members are narrating their story pay fair hearing to that , it will reflects your receptive power and at that time you should start collecting common points while which will help you while discussion. Our main motive is to make out common story, so while discussion we should not remain adamant towards points, flexibility is required, be open to others point. This will leads to good discussion. Thanks for giving good ppdt tips. really accurate tips thanx as im fresher and definitely will gonna helped by acquiring the skills as reflected by you.